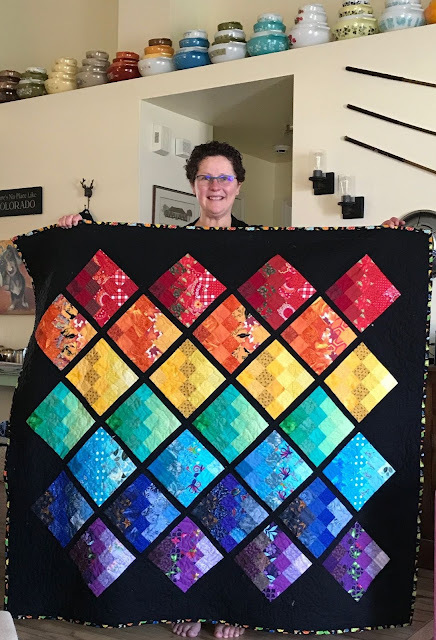 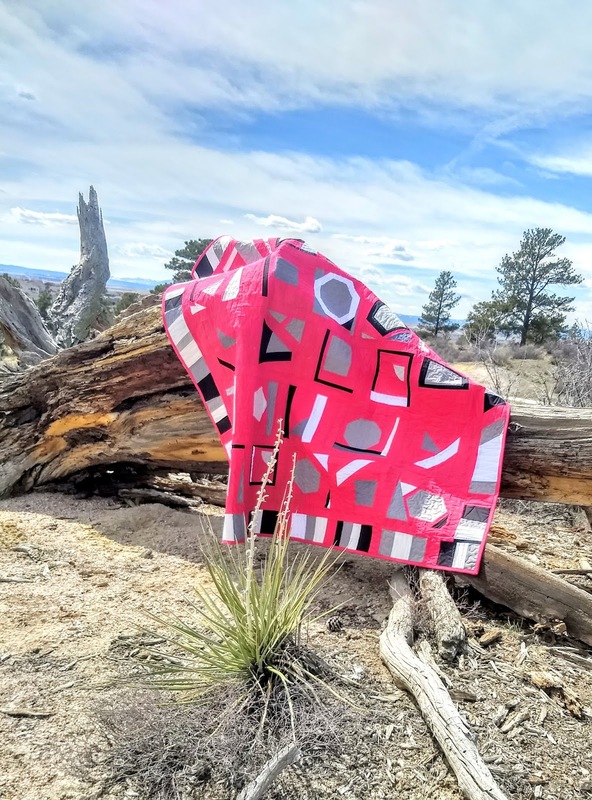 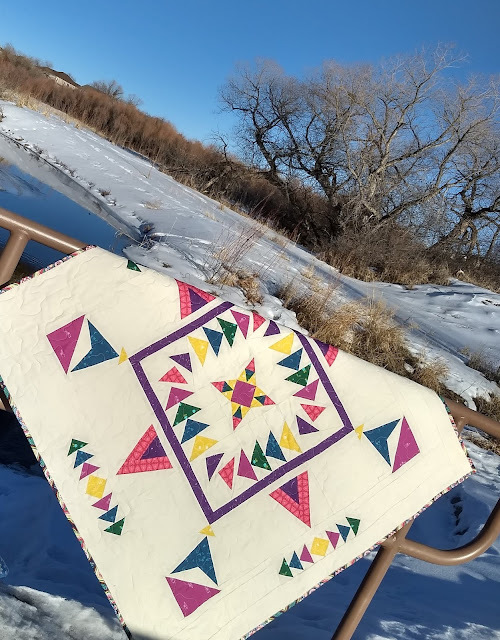 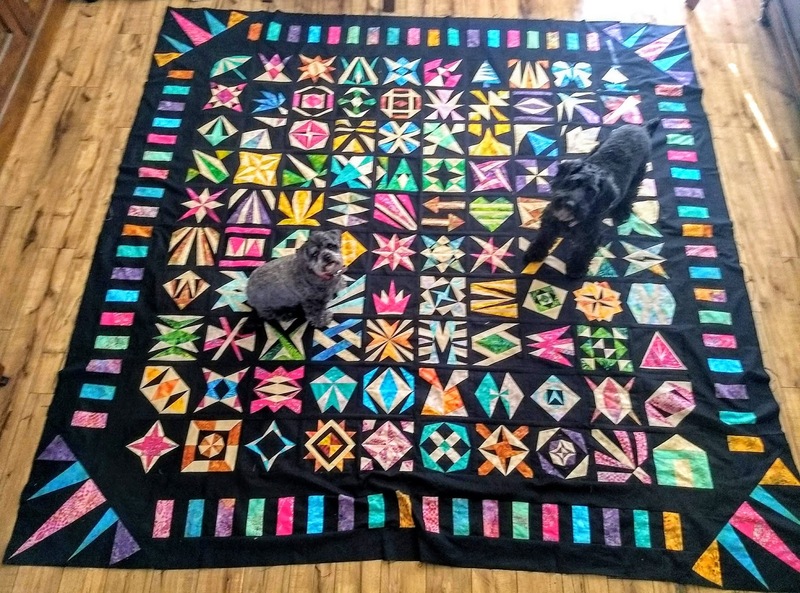 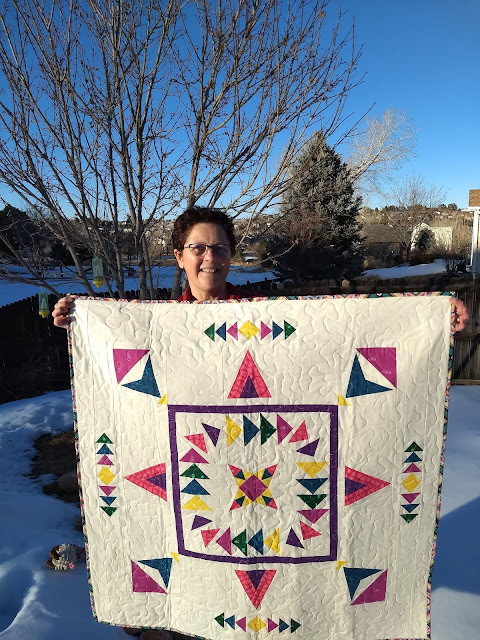 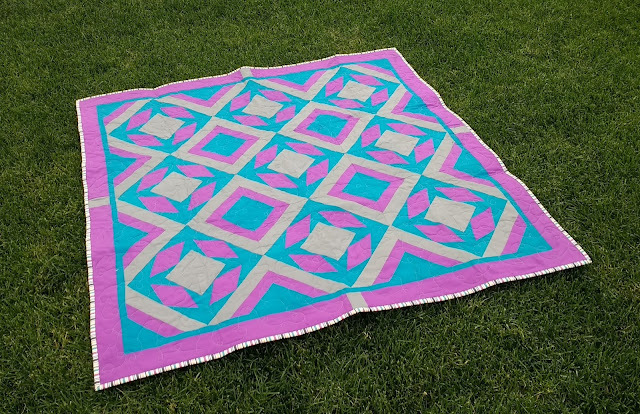 I am a prolific quilter, the passion and drive within me hasn't waned over the years & my skills are constantly improving so I can make better quilts. 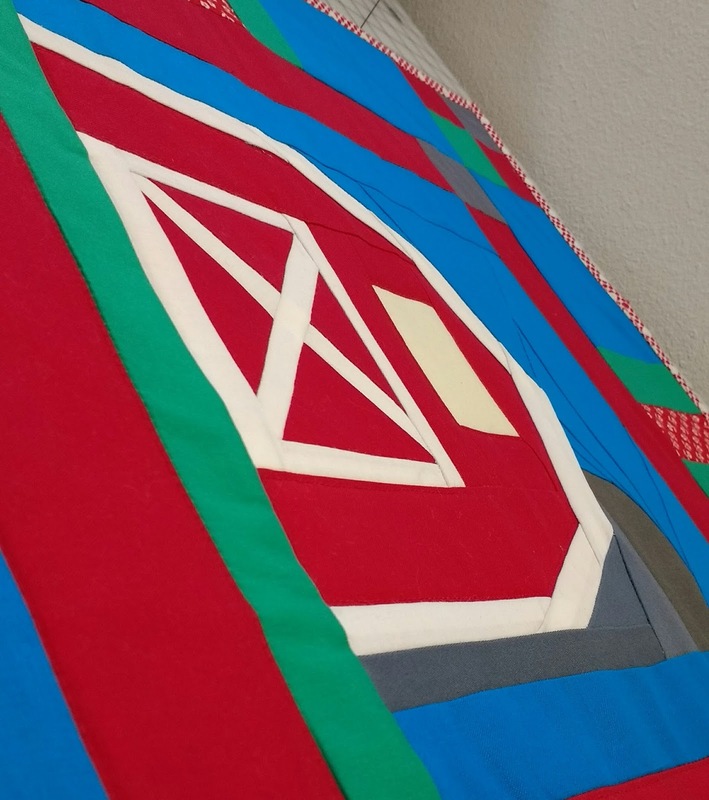 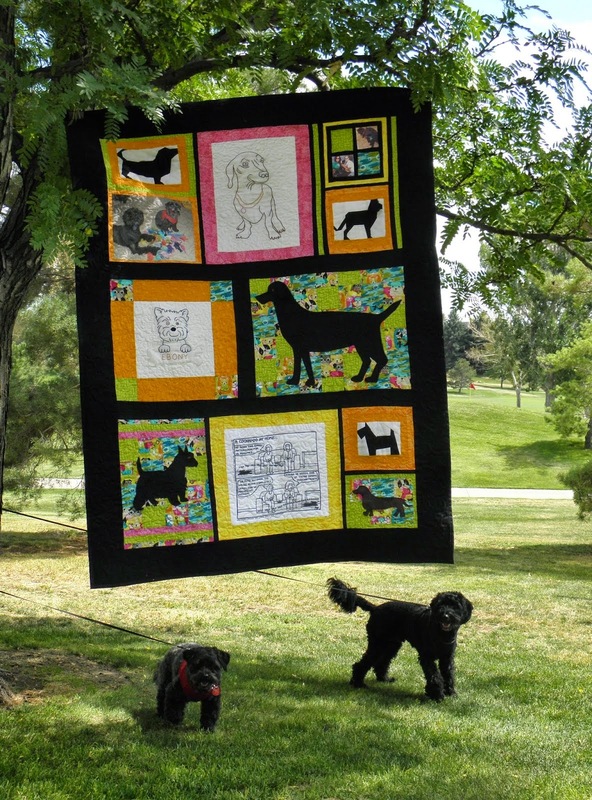 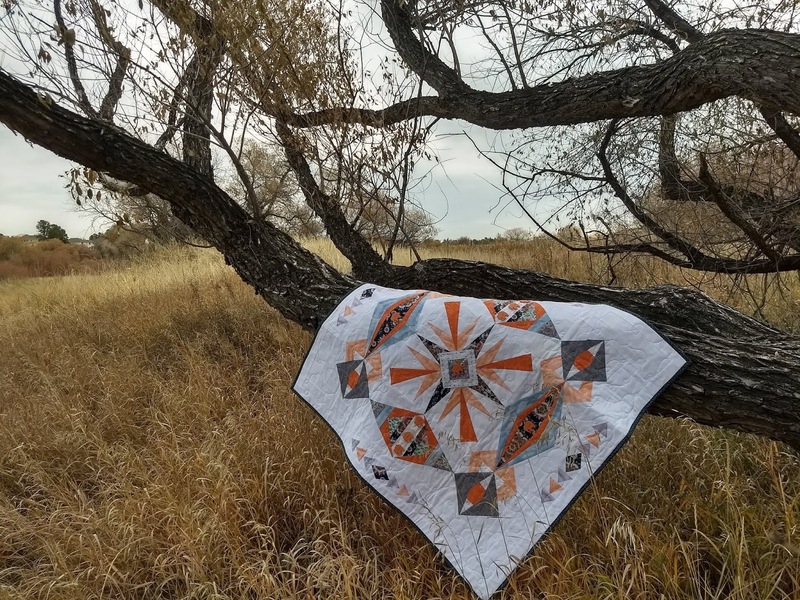 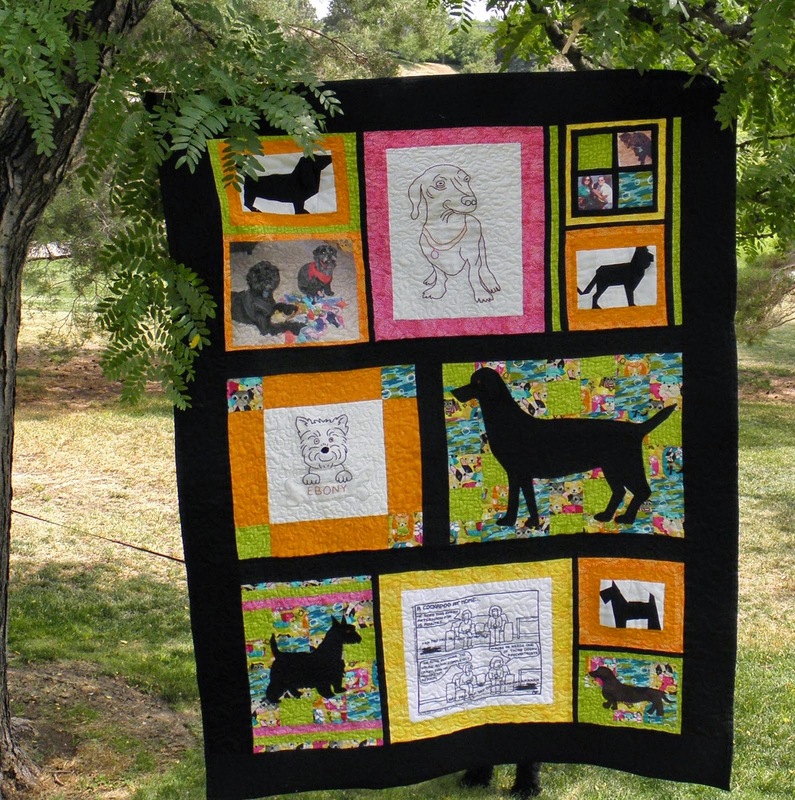 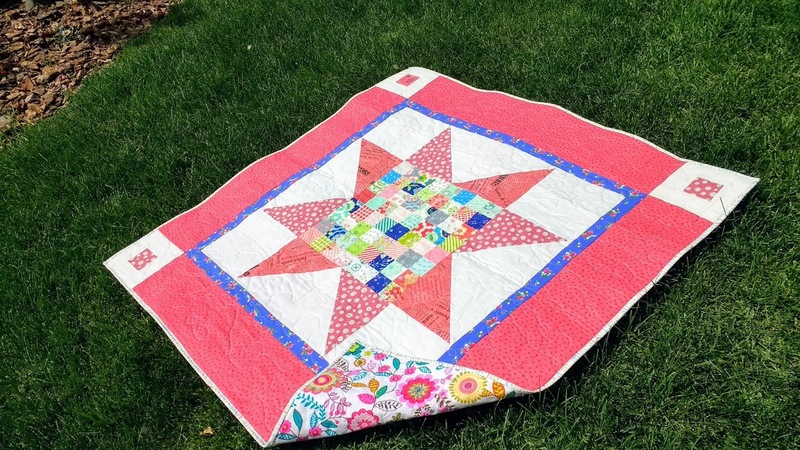 These favorite quilts are skill building quilts that helped me get to where I am today! There are 196 hexagons. 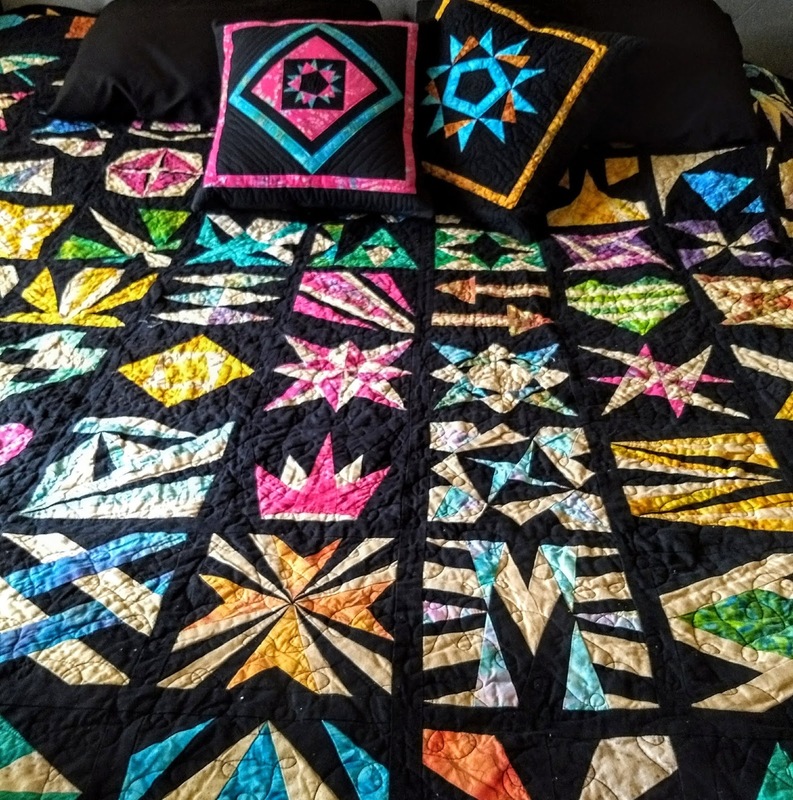 Made entirely from scrap fabrics purchased on Craigslist! This quilt contains blocks that use; redwork embroidery, paper piecing, applique, printable fabric and a T-shirt panel. This quilt truly allowed me to try new techniques and challenged me. 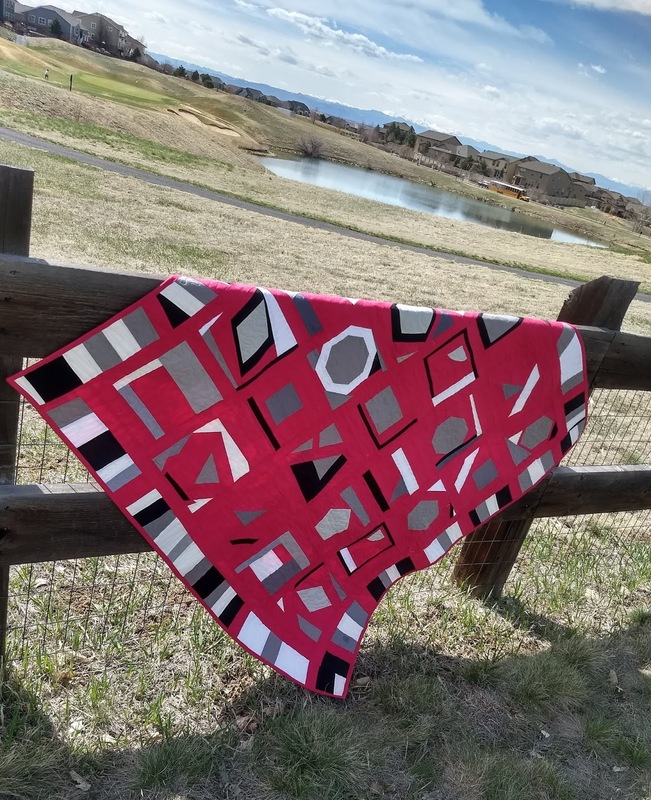 The backing is my favorite, even more scraps! This cute mini charm star quilt was inspired by a quilt I saw on display when I went to Hamilton Missouri with quilty friends to visit Missouri Star Quilt Co.
Rainbow Gradations 16 patch scrap quilt 💗 to date my most popular post on Instagram! Elaborate Adventures quilt made whilst pattern testing for my Elaborate Adventures quilt book. 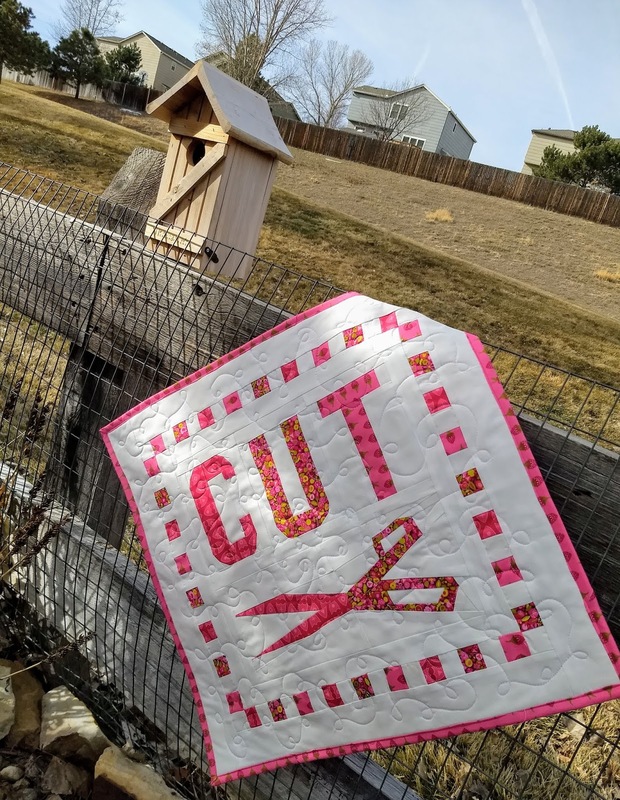 Another Cotton Cuts brand ambassador project the Cut wall quilt for my sewing studio! 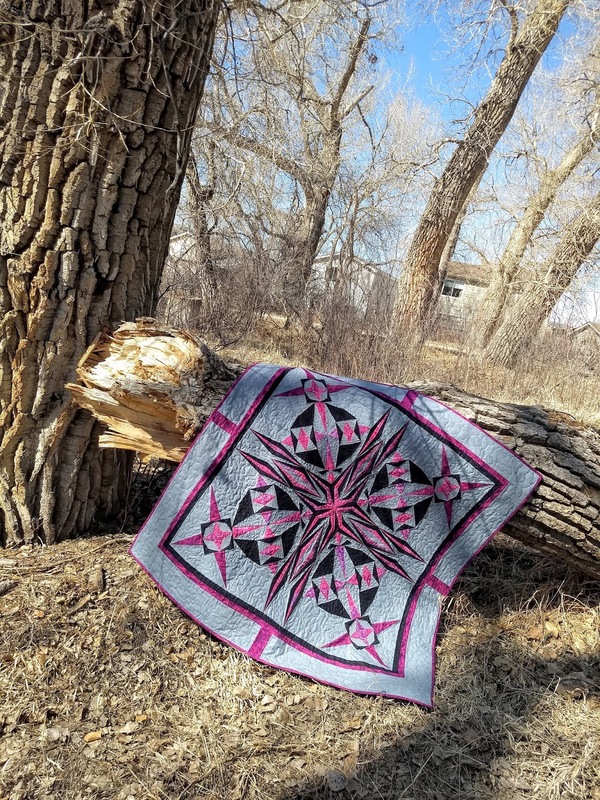 Another Cotton Cuts brand ambassador project!